Optimal performance during physical training. BCAA´s, Glutamine, Creatine, Taurine and electrolytes. Build your perfect physique! Ideal for those seeking to achieve their goals, beyond their genetic barriers, DEFY Black by Nutrex is a revolutionary intra-training supplement. 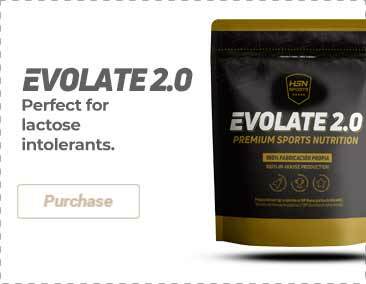 Its formula consists of an optimal dose of BCAA´s (Leucine L-, L-isoleucine and L-valine) in combination with key ingredients in muscle construction such as Glutamine, Creatine and Taurine. As we know, the BCAAs help the body to maintain muscle tissues in times of stress, during and after periods of intense exercise. Glutamine, which is the most abundant amino acid in the muscle tissue, considerably reduces catabolic action thereby preventing the loss of muscle tissue and permitting its creation, replacing glycogen and helping with protein synthesis. Creatine increasing the recovery speed for ATP (adenosine triphosphate). It is an energy molecule used by the muscles. It has also been shown that creatine can also promote muscle growth via stimulation of protein synthesis. Creatine can also act as a plug for lactic acid and improve exercise recovery time and delay the appearance of fatigue. Taurine is a powerful neurotransmitter linked to capturing glucose. This nutrient also plays a part in the adequate use of potassium and calcium, as well as sodium in the body, and to maintain the integrity of cellular membrane. DEFY Black by Nutrex is also enriched with electrolytes indispensable for providing explosive strength and resistance during intense training. DEFY Black will help you to break any barrier without using any type of stimulant. DEFY Black is not only an intra-training supplement, but its use is also recommended between meals to maintain optimal nutrition of the muscle tissue during the day. This product has a delicious flavour, very good dissolution and incredible results. Citric acid, natural and artificial flavors, sweeteners (sucralose, acesulfame potassium), coloring (E133). Mix 1 dispenser (13,8g) with 236-295ml of cold water and consume during exercise.